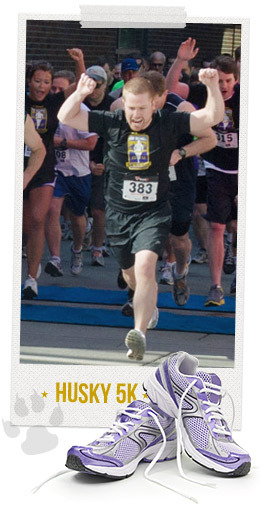 2019 marks the 14th anniversary of the UW Bothell 5k Run/Walk! Hosted by the UW Bothell Alumni Council, this growing race is expected to host over 1,300 runners and walkers, and will welcome over 1,500 people on campus! The event features not only the 5k Run/Walk through campus and downtown Bothell, but also includes the Cascadia Pups and Cubs 1k. There will be music, family-oriented attractions like face painting and a bouncy house, a complimentary breakfast immediately after the race, prizes and giveaways for participants, and friendly faces at our sponsor booths! All proceeds from the race benefit UW Bothell student scholarships. This run is one of the only events in the area devoted to this ever-increasingly important cause, and is proud to support students in their endeavors to continue their education in more difficult economic times.